The 4%: Film’s Gender Problem, directed by Caroline Suh, features six, five-minute short films on the gender gap in Hollywood. The title derives from Dr. Stacy Smith’s research, which finds that only 4.4% of approximately 1,100 top-grossing films (2002-2012) are made by women directors. Let’s debunk the myth that film is a dream factory, that rather unflattering term – factory. It is a more concrete image with workers and bosses making physical decisions. Yes. Your favorite movie is not dreamt, but built. Michelangelo did not spill the paint and accidentally finish the Sistine Chapel. Someone, indeed, always gives money and appoints another somebody to make a film. And the problem is that that somebody just happens to be always male. So here are the real questions: Who gets to be in this factory? Who gets to control the factory? And I’m not just talking about the coveted spot of The Director (The Auteur) but the other important roles such as the producer, the agent, the cinematographer, and the writer. Unlike any other art forms, cinema depends on capitals. Some may say that indie movies are doing better than ever and they generally rely on small budgets. But comparing it to Hollywood, it is still relatively small and volatile. More interestingly, as what The 4% tells us, women tend to do better in indie movies and documentaries. In fact, since the French cinema notoriously derails from the studio system, it has provided us huge female auteurs such as Catherine Breillat. Yet, if we are talking about sharing the wealth, then we need to cast aside our personal tastes and talk about big-budget, popcorn, explosion movies. And the last time I checked, these are still the real fuels for Hollywood. 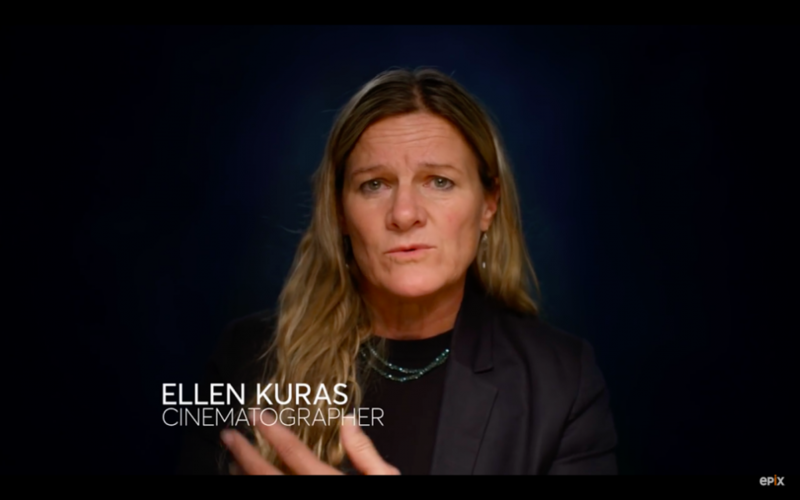 In The 4%, it says that among 318 films with budgets over $100 million, only three have been directed by women and two of the three were directed by Kathryn Bigelow. According to The Guardian, next year (2017), Wonder Woman, pointed out by Athena Film Fest artistic director (Melissa Silverstein) will be “the first movie that a woman has directed – a live-action movie – with a $100 million budget.” Well, now it doesn’t take a genius to crack the code that women are not really welcomed to the money-making club. And we need to know why. The 4% is set to debut on Epix on March 8, International Women’s Day.